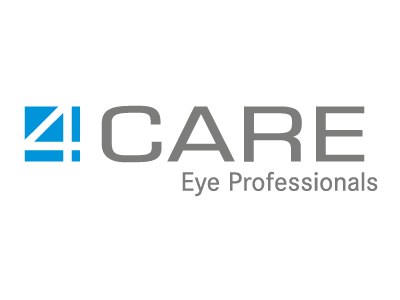 German medical product manufacturer 4Care has optimized its online store at Lensbest.de for mobile commerce. Customers can now repeat past orders, request information, or purchase care products via their smartphone or tablet. Thanks to Intershop and its partner dotSource, the platform upgrade was a resounding success. The back-end now features consistent product categories for easier store maintenance. In addition, the use of APIs and Intershop’s Synaptic Commerce solutions makes it simple to add or remove third-party systems, including blog, ERP, payment, and newsletter platforms. Growing with Intershop: 4Care has grown its customer base in recent years to over one million unique users. Lensbest.de received the Shop Usability Award 2015 in the Wellness, Beauty & Health category. The new shop design for Lensbest.de has been rolled out to eleven partner stores. Implement an omnichannel solution for Lensbest.de to manage an ever-growing range of touchpoints. Update the existing store for the mobile era, e.g., dynamic page loading to reduce data usage. Integrate interactive tools and info videos on eye health to create the perfect customer journey. The upgrade to Intershop Commerce Management 7 provides the flexibility and scalability required for quick and easy roll-out of new stores. Responsive web design ensures content is optimized for a wide range of devices—from smartphones to tablets and PCs. Intershop Promotion Engine enables custom-built campaigns and personalized offers. Intuitive: Intershop’s easy-to-use search and navigation functions help customers quickly find what they are looking for. Interactive: Lensbest.de also offers style advice, making it one of Germany’s most attractive online retailers of glasses and contact lenses. Intelligent: thanks to Intershop’s multi-client capability, Lensbest.de and its eleven partner stores can all be managed centrally and for all relevant channels. Since the relaunch, the online store stands at the highest level in terms of both content and technology. It is part of the newest generation of interactive shopping portals. In the future, Lensbest.de intends to be an interactive tour guide for customers, accompanying and advising them as they search for the perfect product.